if defending guy is run over by Super Bike, defending guy gets confused. if opponent is trapped in the chain, every turn, they will lose 5 hp. 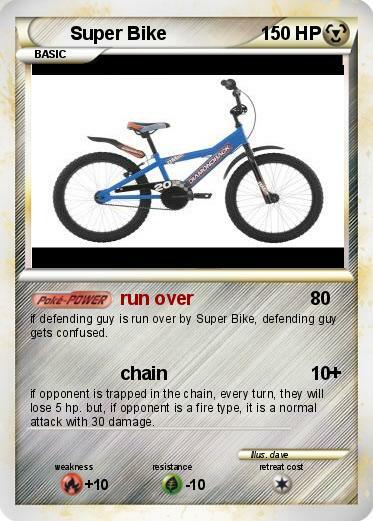 but, if opponent is a fire type, it is a normal attack with 30 damage.